Pass Plus is a recognised scheme which has been developed to help people who have passed their practical test gain further experience, with the tuition and supervision of a Pass Plus registered instructor. With RICHARDS SCHOOL OF MOTORING, you will be able to build on the skills you have already gained whilst learning to drive, and better prepares you for when driving by yourself. Some of these subject areas are covered as part of the learning process when learning to drive. An example being you may have driven on a dual carriageway when learning. Pass Plus demonstrates that you are prepared to further develop your skills and aids the transition from learner status to full licence holders. 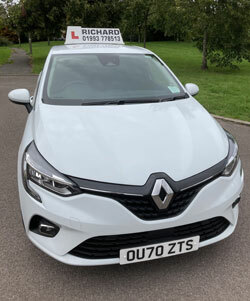 Why not take your Pass Plus with RICHARDS SCHOOL OF MOTORING By completing the course, a number of insurance companies also offer a discount on your first year's insurance!